How do you bezel set a cabochon stone in a ring? Stone setting seems to be an elusive skill to many jewelers, new and old. There are many ways to set a stone. They include prong setting, bezel setting, bead setting, flush setting and combinations of both. If I had to pick just one important factor in setting stones (and there are many) I’d go with how well the stone sits in the mounting. Making a good seat for the stone will mean the difference between success and failure. This goes for a cabochon cut stone and a faceted stone. If your stone is rocking back and forth in the mounting it will make it difficult to set. Here’s a good rule. Look at the back of your stone. 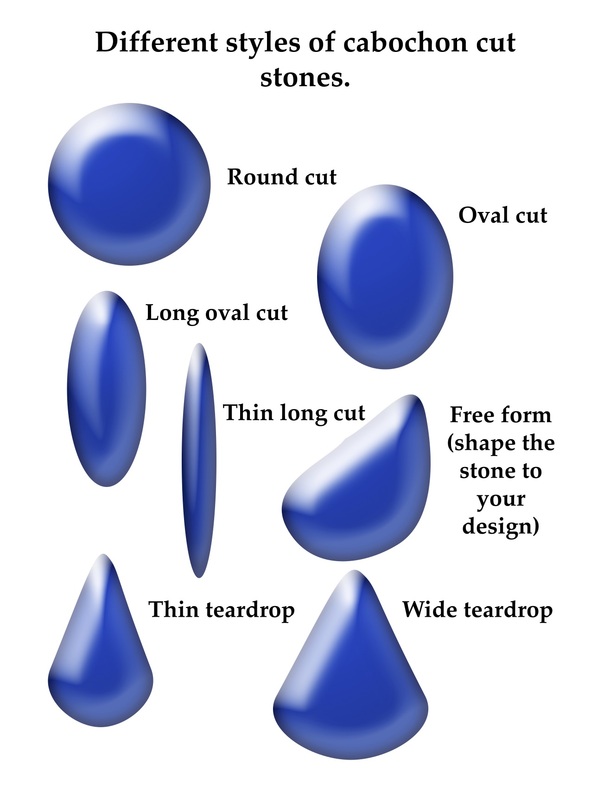 If it’s flat, in the case of a cabochon, how flat is it? If you really look at it closely it may actually be curved. Match that curve in your mounting. Sometimes that is achieved using setting burs and sometimes it is done using ball burs. Basically use whatever you have to get that seat cut to match the back of the stone. This goes for faceted stones also. Does the stone’s pavilion come to a point like a diamond or is it round like many other gemstones?. The seat for the stone needs to match the back of the stone. In this video I’ll show you how to bezel set a cabochon gemstone in a sterling silver ring. This is a step by step process showing how to prep your bezel for setting the stone, the process for hammering the bezel over the gemstone and a tool list. I made this video with close up shots so you can watch the entire stone setting process. It’s worth it to watch the entire video. There are a few little techniques that you may not know. I hope this helps a few people. Every stone I set is slightly different so get to know your stone and take your time before you start hammering it into place. Leave me a comment or question and I will get back to you as soon as possible. Don’t forget to sign up for the mailing list to your right to get the latest posts.